Whether it’s friends getting together, a romantic evening for two, or just a family who love to graze, our sharing platters always go down a storm at our restaurant in Worthing. Getting together for food is obviously a big part of this attraction, as picking at some delicious meats, cheeses, breads, olives and seafood while you’re having a chat is just the perfect way to spend an evening, it’s also down to our fantastic ingredients – all sourced from local suppliers! 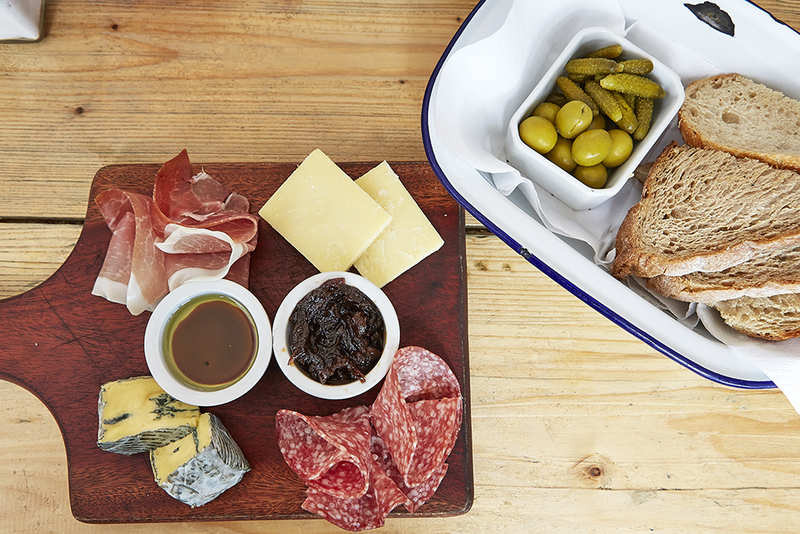 Our famous sharing boards and toasted sandwiches are enhanced an enormous amount thanks to the love and care put in to suppling cheese from across the south by the passionate people at The Cheeseman in Hove. 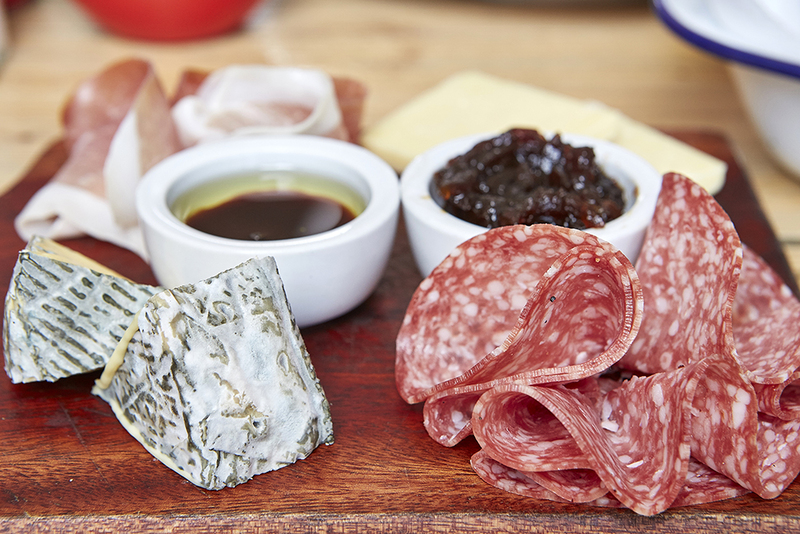 Sussex Charmer is among our favourites, which is available as part of a sharing platter and made using the milk of welfare assured, grass fed cows at Pallinghurst Farm in Rudgewick. The meat that accompanies these glorious cheeses on our meatboards, and in other areas of our menu (like our famous burgers, steak frites dish, and in our sandwiches) is from John Wildman and Sons just a stones throw from us in Portland Market, Worthing. Our baked treats, including cakes and the artisan bread for our sandwiches and sharing boards are from The Real Patisserie , whose delicious good include sourdough bread, ciabattas, and seeded loaves, all made just along the coast in Hove. We’re particularly partial to bread and olives! Whether it’s a starter, or just something to nibble on while you’re catching up with loved ones, our sharing platters are a delicious addition to our menu at our restaurant in Worthing. Come and try them for yourself!